King British 6-In-1 Test Strips are quick and easy to use dip tests. Water quality is the most crucial factor affecting the health of fish so regular water testing is important. Tests include: Ammonia, Nitrate, Carbonate Hardness, Nitrite, pH, General Hardness. The kit contains 25 test strips with 6 tests on each so in total you are getting 150 tests. 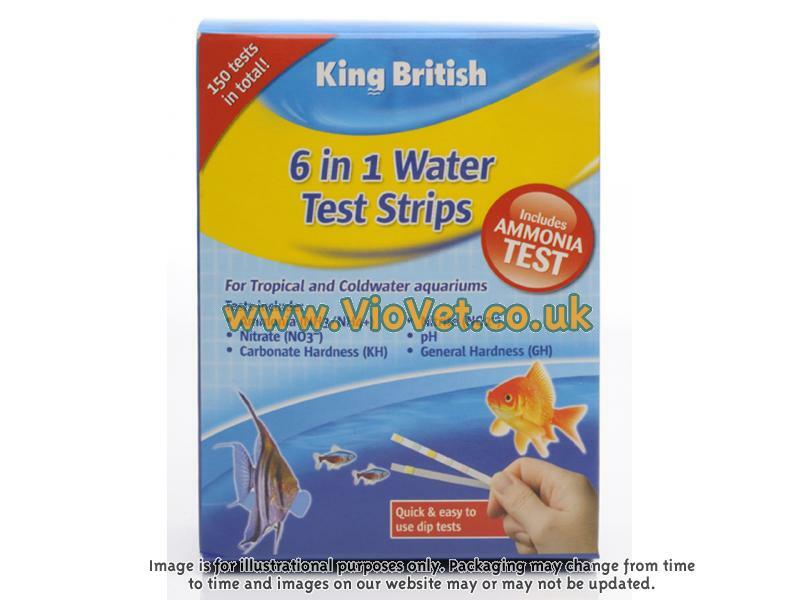 There are currently no questions for King British 6-In-1 Test Strips for Aquariums - be the first to ask one!